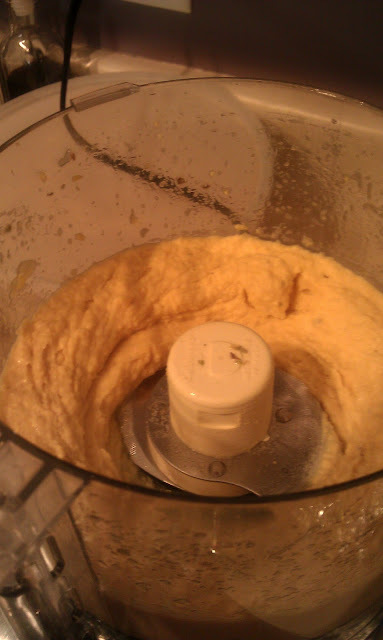 I have tried to make hummus before, but I have had issue with either the texture being a little gritty or it having a strong bite. And by bite, I mean a Holy-Buckets-Get-Ready-For-Your-Socks-To-Get-Knocked-Off kind of finish that I do not want in my hummus. 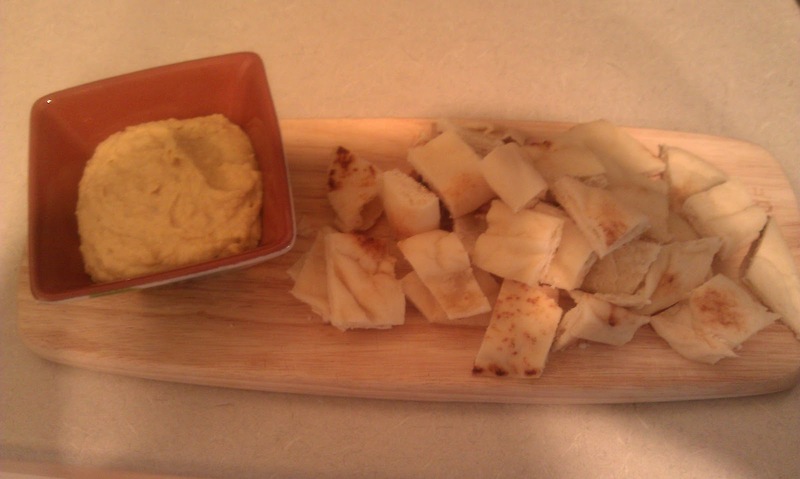 Hummus is quite a staple in our house for all get togethers and for the occasional apps and wine night. Usually it's store bought and the pallets of the household (mine included) all have their favorites based on texture, flavor and kick. Some of us like it spicy, some more mild, Roasted Red Pepper is always a favorite, but the main thing that we agree upon is that the smoother the finish on the hummus, the better. That's why I like this recipe. 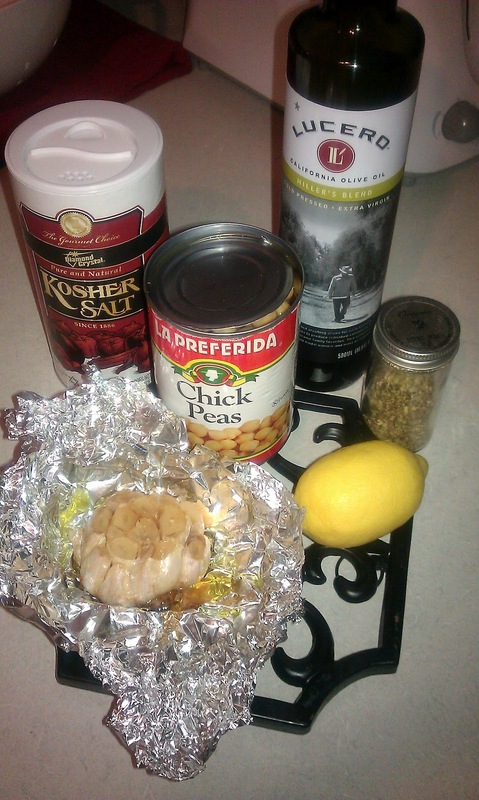 The finished product was smooth in texture and the concentrated flavor of garlic is a nice addition to the nuttiness of the chickpeas. My suggestion with this recipe would be to play around with the amount of garlic and taste while making to make sure it is pleasing to your personal tastes. Place all ingredients in the food processor with one of the tablespoons of olive oil for 1-2 minutes until smooth. Check consistency, and slowly add the remainder the olive oil and process until desired consistency is reached. You can add more garlic if you would like a stronger garlic flavor.